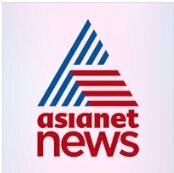 News TV Channel / Asianet News (Asianet Global) is a Malayalam news channel owned by Jupiter Media and Entertainment Venture. The channel is not a part of the STAR India owned Asianet Communications Limited, but comes under the Asianet News Network (ANN) wing of the Jupiter Media. Kaushik Ghosh is the current CEO of Asianet News Network (ANN). The channel is based in Thiruvananthapuram.